Granites are emblematic rocks developed from a magma that crystallized in the Earth's crust. They ultimately outcrop at the surface of every continent. 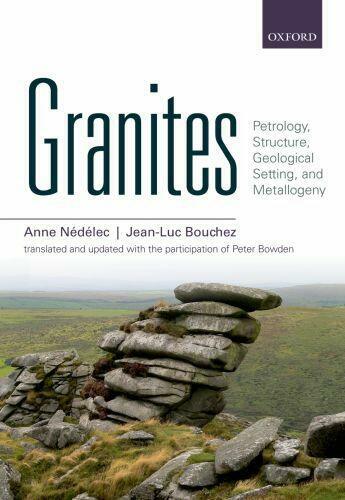 This book - translated, edited, and updated from the original French edition Pétrologie des Granites published by Vuibert in 2011 - gives a modern presentation of granitic rocks, or granites, from magma genesis to their emplacement into the crust and their crystallization. Mineralogical, petrological, physical, and economical aspects are developed in a succession of 14 chapters. Special 'info boxes' discuss topics for those wishing to deepen their knowledge of the subject. Also included is a glossary, a comprehensive bibliography, as well as descriptions of modern techniques. Granites are considered in their geological spatial and temporal frame, in relation with Plate Tectonics and Earth History, and assisted by a large number of high quality illustrations.